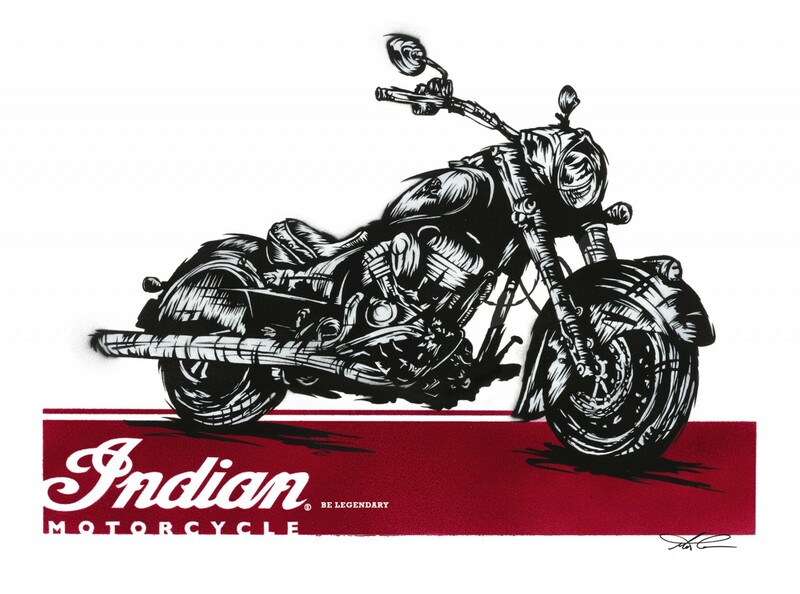 Bikers test riding any Indian Motorcycle at their local dealership this month will walk away with a free limited edition Chief Dark Horse poster (while supplies last). 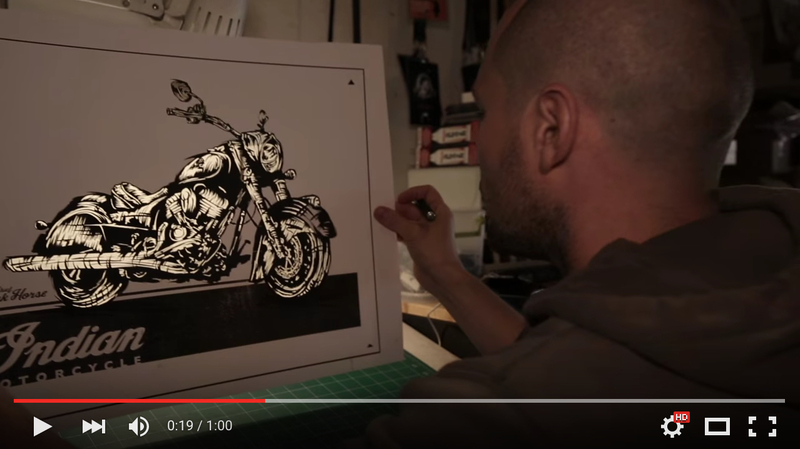 The poster was created by stencil artist Mathew Curran who sliced and diced card into various stencil layers to create the outline of the Chief Dark Horse and then spray painted over each layer. The 2016-line up consists of eight Indian models divided into the four categories of Midsize, Cruiser, Bagger and Touring. Indian’s three newest models for 2016 are the Scout Sixty (Midsize), the Springfield (Bagger) and the Chieftain Dark Horse (Bagger). Test rides can be booked through the Indian Motorcycle website or by calling the local dealer directly. Drawing from his international roots, Mathew Curran has developed a unique and personal style, which transcends half a dozen different mediums. 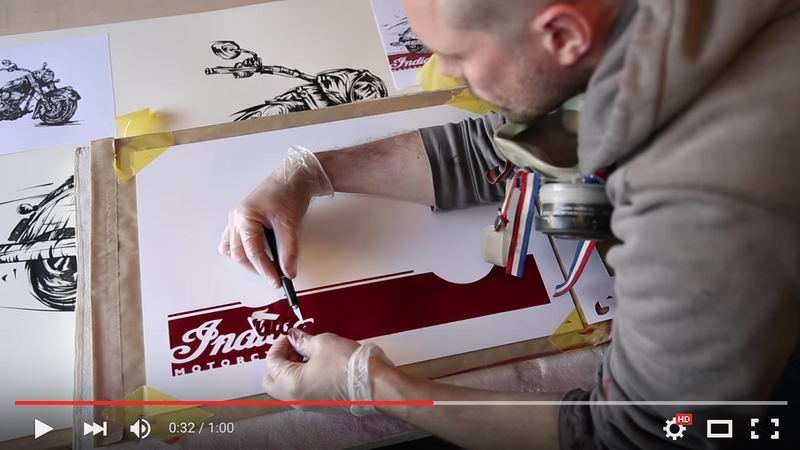 Over the past decade, he has drawn from street life and hip-hop culture to focus primarily on stencil work. Curran was born in Northamptonshire, England in 1979, and came to the United States as a teenager. His early years were influenced by American teen skateboarding culture, with its random and unchecked energy and raw sense of possibility. 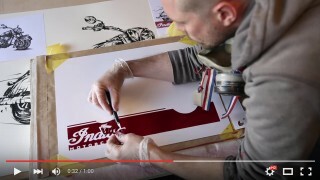 After studying fine art and graphic design at UNC Greensboro, Curran began to perfect techniques in wood, spray paint and ink. He also began experimenting with new subjects, including distorted figures and industrial objects, all the while retaining the urban street-art energy and style. It was through his stencil art that Curran felt he was best able to capture the virility and stamina of street life, and he devoted his post college years to developing a style based on forceful lines and subtle uses of background colour. 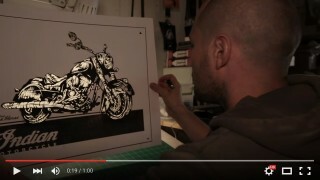 By combining personal experience with his techniques, Curran has become able to duplicate the street-life intensity level, regardless of subject. His work has been displayed in galleries from his native England to Tokyo.